This books contains the master’s method for fighting disease, overcoming worry and loneliness, saving a marriage, and more. The concept is a form of mental activity called imaging. It consists of vividly picturing in your mind a desired goal or objective and holding that image until it sinks into your unconscious mind, where it releases great untapped energies. 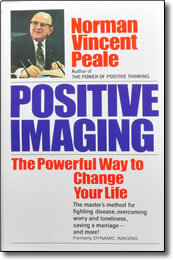 Discover the power available to you through Positive Imaging. You can take control of your problems. You can command your life. This book is designed to help you do it — and do it well.